Image: DeshaCAM/Getty Images. Design: Ashley Britton/SheKnows. 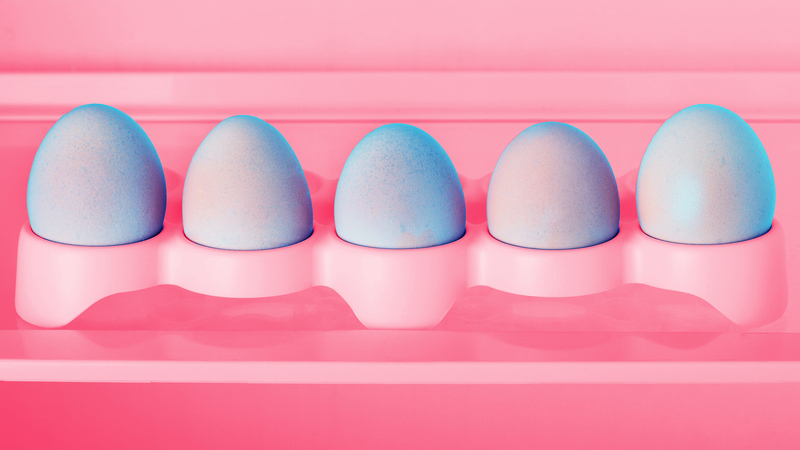 If you're a single woman in your 20s, 30s or 40s, chances are someone has asked you about whether you'd consider freezing your eggs. Given the significant advances in egg-freezing technology over the past few years — as well as the availability of slightly more affordable options — it's no surprise that business (because that's what it is) is booming. Now, a new study has provided insight into exactly why single women opt to freeze their eggs — and the results, though not surprising, point to the pervasive societal mindset we are considered failures if we don't become a mother. It also reveals what the women wish the fertility clinics had disclosed before they decided to freeze their eggs. The research, published in the journal Human Fertility, examined the increasingly popular trend of "social" egg freezing — meaning to do so for nonmedical reasons. (An example of egg freezing for medical reasons would be fertility preservation in cancer patients). As it turns out, most of the women in the study reported they wanted to avoid "panic parenting" — a term used to describe entering into an unwise and/or unwanted relationship with a partner they're not enthusiastic about in order to have a genetically related child. In other words, my personal nightmare. The other major takeaway from the study is that the women who froze their eggs wish the fertility clinics had been more transparent about their chances of success — in this case, achieving pregnancy — using their frozen eggs. In fact, nearly all the women — whose average age at the time of freezing was 37 — said that the clinics they approached were unable to provide an estimate of the likelihood of a future live birth with their frozen eggs. On top of that, they report that the doctors didn't adequately discuss post-freezing processes and outcomes or provide details about success rates based on age or the particular clinic. This is problematic for several reasons. The first is that regardless of the medical or fertility procedure, all patients — in this case, the women freezing their eggs — have the right of informed consent. That means that before undergoing any sort of treatment or procedure, their doctors must fully inform them of all the potential risks and benefits — which include success rates. It's also important to remember that egg freezing is ultimately a business. Yes, egg-freezing facilities are providing a service and expanding reproductive options for some individuals and families, but it's also about making money. If clinics don't inform customers about the success rates of their procedures based on their pregnancy and live birth rates and the person's age, they are not fully disclosing all the aspects of the product they're selling. What's also troubling is that they're offering false hope. "Whilst the number of women freezing their eggs remains small, many more are now considering this option as a way of extending the window of time they have to pursue genetic motherhood," Dr. Kylie Baldwin of the Centre for Reproduction Research at De Montfort University and coauthor of the study said in a statement emailed to SheKnows. "Clinics providing this technology have a responsibility to support informed decision-making by providing women who enquire about egg freezing with detailed information about the likelihood of achieving a live birth specific to their age at freezing." A lot of women genuinely want to be mothers — and there is absolutely nothing wrong with that. But there are also a lot of women who definitely don't want to be mothers — and that's completely normal too. The problem is the idea that we're conditioned to believe motherhood is inevitable for all women. It's part of our societal definition of success for women, also falling under the umbrella of "having it all" — meaning a satisfying career, healthy relationship, comfortable house, interesting hobbies and, of course, children. Egg-freezing facilities know this, which is why it's even more important they disclose all necessary information on success rates. Overall, having additional reproductive options is a step in the right direction. The more opportunities women have to take control of their fertility, the better. But as we move forward, it's absolutely crucial that women who opt to freeze their eggs do so fully informed — both in terms of receiving accurate information from the clinic and knowing that not having children is a perfectly acceptable choice too.